I have a soft spot for classic fairy tales, and was pleased to see this version of The Swan Lake by Publisto. This is a love story with a slightly dark side- a spell has been cast on many young women, including Princess Odette, who has become a swan by day, returning to her human form only at night. A true prince must fall in love with Odette or the princess will remain a swan forever. There is the threat of killing looming, should the spell not be broken, and a tame kiss-but the story is not at all graphic and should be appropriate for elementary aged children. The illustrations and classical music are really breathtaking and the visual effects are really catching- one really clever effect is the way words transition from gray to gold, and then remain black after being read by the narrator. Alternatively, the reader can choose to zoom in to each page’s illustration, foregoing text. The pages also have a lifelike flipping motion as you turn from one page to the next. The narration is pleasant and slower paced, which is very helpful for a struggling reader following along. There is also a recording feature so the reader can practice narrating the passage him/herself. I also appreciate options to turn background music on or off, to stop or repeat narration on each page. In addition to all of those features in book mode, there are several other modes available from the main menu- Puzzle Mode (6, 12, or 20 pieces), Coloring Mode (with sophisticated color picker and several drawing tools, including a “signature”), Connect the Dots game, Memory game (16 or 30 cards), Send a Postcard Activity, and Link to the App Store. My only wish list item would be some kind of parental control button to make it harder to send postcards through social media, and limit access to the App Store, if desired. FYI, Publisto also offers stories in Greek, Spanish and Portuguese, which makes me giddy as “Eu falo portugues” (pretend my keyboard knows how to add accents). The official launch date was in August 3. At the same period, we released three more interactive tales for the iPad, aiming to offer content of great literary and artistic merit. This is why we used timeless classics as our primary source, taken right from dusty 19th century books. Even the selection process was an exciting time! To develop an app, especially for children, is a lot more difficult than people believe and takes in total more than six months, if done right. The balance between storytelling and activities remains of paramount importance. We had to carefully select the material for the app in order to appeal to children, something that took time in terms of texts, activities, sounds, aesthetics and animation. Moreover, in designing our app story decisions have been carefully based on our observations concerning child iPad use. For example, we have intentionally avoided having any control buttons in the lower half of the screen to minimize accidental disruptions of precious reading time. Because after all, this is what it is about. Whether reading from scrolls, manuscripts, printed material or screens, it’s reading that counts! Taken the step to provide the ability to parents to also record their own voices as narrators, was risky, in a sense. Because we are all mostly used in passive reading. But it took off. Now, we expect all reading apps to have this option, parents use it, kids love it because they try their own voice and make impressions and as educators can tell you, it’s another aspect of what they call dialogic reading, reading together. This “togetherness” is what Publisto is all about. I would say that the second page of Publisto’s THE SWAN LAKE, which depicts the transformation of Princess Odette from a beautiful, white swan into a girl was absolutely fascinating to me and Tchaikovsky’s music made it even more so. It touches your heart even from the beginning of the story. Our aim was to offer a storybook app that not only entertain children but also help them develop skills that enhance their future growth. The app offers highlighted narrative text in order to encourage word recognition and vocabulary development. Also, auto-play, read-by-yourself and record-your-own-voice options are available aiming to help children build confidence in reading aloud. Educational activities, including connect-the-dots, puzzles and memory cards, are designed to expand attention span and memory skills. A full-screen coloring mode in a separate paint section, with the option to sign and save, aims at improving fine motor skills. Also, engaging and user-friendly interface design, enhanced by context-oriented tap animations contributes to strengthening hand-eye coordination. All in all, in our apps we strive to maintain the right balance between storytelling and activities and instill love for reading and intelligent play. It’s important that our kids take nothing else than this. 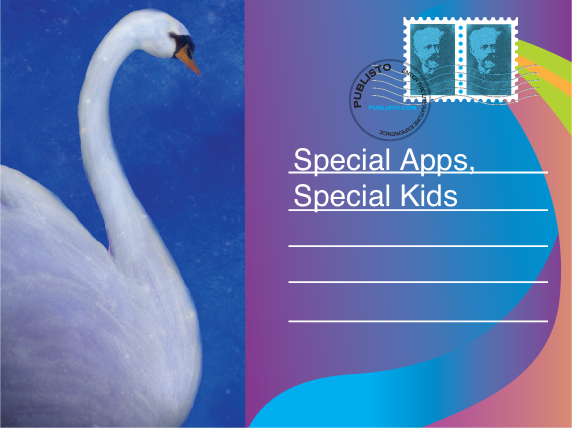 The app is suitable for children of age 5 to 8. Parents who have downloaded the app were impressed by the engaging narration enhanced by highlighted text. They explain to us that this feature helps their kids to pronounce correctly the words and enrich their vocabulary from a very young age. However, I would like to mention that in all the activities provided, the users can select their desirable degree of difficulty, making our app appropriate for a broader age range. THE SWAN LAKE, best for kids between 5 to 8, is an interactive tale, where the purity of true love meets the magic of art in a way that will capture your heart! Prince Siegfried and Princess Odette escape evil warlock Von Roth, armed with the kindness of their hearts and the power of love. Literature, emotion and classical music meet in this inspiring and faithful adaptation of Tchaikovsky’s classical ballet. 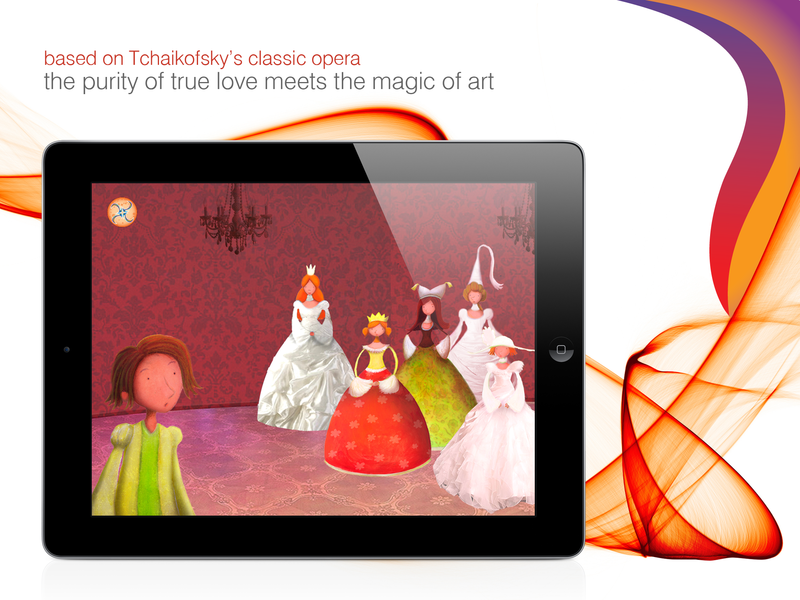 The book app includes mesmerizing illustrations, unique tap animations, inspiring music and unexpected sound effects. Each illustration is accompanied by highlighted and narrated text to help young readers associate the spoken with the written language. . The app encourages children to engage in reading, by enabling auto-play, read-by-yourself and record-your-own voice options. Apart from the story, educational activities, such as connect-the-dots, puzzles and memory cards are designed to build attention and memory skills.